Planned Parenthood of Southeastern Pennsylvania, et al. v. Robert P. Casey, et al. A Pennsylvania law that required spousal awareness prior to obtaining an abortion was invalid under the Fourteenth Amendment because it created an undue burden on married women seeking an abortion. Requirements for parental consent, informed consent, and 24-hour waiting period were constitutionally valid regulations. Third Circuit Court of Appeals affirmed in part and reversed in part. The Court's plurality opinion upheld the constitutional right to have an abortion while altering the standard for analyzing restrictions on that right, crafting the "undue burden" standard for abortion restrictions. 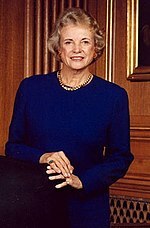 Planned Parenthood v. Casey differs from Roe, however, because under Roe the state could not regulate abortions in the first trimester whereas under Planned Parenthood v. Casey the state can regulate abortions at any point from fetal viability (when a fetus is able to live outside of the mother's womb) and beyond. Before viability at 23-24 weeks or earlier, regulations are allowed as long as that regulation does not pose an undue burden on the woman. Applying this new standard of review, the Court upheld four regulations and invalidated the requirement of spousal notification. In Casey, the plaintiffs challenged five provisions of the Pennsylvania Abortion Control Act of 1982 authored by Rep. Stephen F. Freind, arguing that the provisions were unconstitutional under Roe v. Wade. The Court in Roe was the first to establish abortion as a fundamental right protected by the Due Process Clause of the Fourteenth Amendment. The majority in Roe further held that women have a privacy interest protecting their right to abortion embedded in the liberty clause of the Fourteenth Amendment. The five provisions at issue in Casey are summarized below. § 3205 Informed Consent. A woman seeking abortion had to give her informed consent prior to the procedure. The doctor had to provide her with specific information at least 24 hours before the procedure was to take place, including information about how the abortion could be detrimental to her health and about the availability of information about the fetus. § 3209 Spousal Notice. A woman seeking abortion had to sign a statement stating that she had notified her husband prior to undergoing the procedure, unless certain exceptions applied. § 3206 Parental Consent. Minors had to get the informed consent of at least one parent or guardian prior to the abortion procedure. Alternatively, minors could seek judicial bypass in lieu of consent. [t]hat condition, which, on the basis of the physician's good faith clinical judgment, so complicates the medical condition of a pregnant woman as to necessitate the immediate abortion of her pregnancy to avert her death or for which a delay will create serious risk of substantial and irreversible impairment of a major bodily function. §§ 3207(b), 3214(a), and 3214(f) Reporting Requirements. Certain reporting and record keeping mandates were imposed on facilities providing abortion services. The case was a seminal one in the history of abortion decisions in the United States. It was the first case that provided an opportunity to overturn Roe since the two liberal Justices, William Brennan and Thurgood Marshall, were replaced with the Bush-appointed Justices David Souter and Clarence Thomas. Both were viewed as ostensible conservatives compared with their predecessors. This left the Court with eight Republican-appointed justices—six of whom had been appointed by Presidents Reagan or Bush, both of whom were well known for their opposition to Roe. Finally, the only remaining Democratic appointee—Justice Byron White—had been one of the two dissenters from the original Roe decision. At this point, only two of the Justices were obvious supporters of Roe v. Wade: Blackmun, the author of Roe, and Stevens, who had joined opinions specifically reaffirming Roe in City of Akron v. Akron Center for Reproductive Health and Thornburgh v. American College of Obstetricians and Gynecologists. The case was argued by ACLU attorney Kathryn Kolbert for Planned Parenthood, with Linda J. Wharton serving as Co-Lead Counsel. Pennsylvania attorney general Ernie Preate argued the case for the State. Upon reaching the Supreme Court, the United States joined the case as amicus curiae and Solicitor General Ken Starr of the Bush Administration defended the Act in part by urging the Court to overturn Roe as having been wrongly decided. The plaintiffs were five abortion clinics, a class of physicians who provided abortion services, and one physician representing himself independently. They filed suit in the U.S. District Court for the Eastern District of Pennsylvania to enjoin the state from enforcing the five provisions and have them declared facially unconstitutional. The District Court, after a three-day bench trial, held that all the provisions were unconstitutional and entered a permanent injunction against Pennsylvania's enforcement of them. The Court of Appeals for the Third Circuit affirmed in part and reversed in part, upholding all of the regulations except for the husband notification requirement. The Third Circuit concluded that the husband notification was unduly burdensome because it potentially exposed married women to spousal abuse, violence, and economic duress at the hands of their husbands. Then-Circuit Judge Samuel Alito sat on that three-judge appellate panel and dissented from the court's invalidation of that requirement. At the conference of the Justices two days after oral argument, Justice David Souter defied expectations, joining Justices Sandra Day O'Connor, John Paul Stevens, and Harry Blackmun, who had all dissented three years earlier in Webster v. Reproductive Health Services with regard to that plurality's suggested reconsideration and narrowing of Roe. This resulted in a precarious five Justice majority consisting of Chief Justice William Rehnquist, Byron White, Antonin Scalia, Anthony Kennedy, and Clarence Thomas that favored upholding all five contested abortion restrictions. However, Justice Kennedy changed his mind shortly thereafter and joined with fellow Reagan-Bush justices Sandra Day O'Connor and David Souter to write a plurality opinion that would reaffirm Roe. Except for the three opening sections of the O'Connor–Kennedy–Souter opinion, Casey was a divided judgment, as no other sections of any opinion were joined by a majority of justices. However, the plurality opinion jointly written by Justices Souter, O'Connor, and Kennedy is recognized as the lead opinion with precedential weight because each of its parts was concurred with by at least two other Justices, albeit different ones for each part. Justices Anthony Kennedy, David Souter and Sandra O'Connor, all appointed by Republican presidents, defied expectations and helped craft the three-justice plurality opinion that refused to overturn Roe. Liberty finds no refuge in a jurisprudence of doubt. Yet 19 years after our holding that the Constitution protects a woman's right to terminate her pregnancy in its early stages, Roe v. Wade (1973), that definition of liberty is still questioned. Joining the respondents as amicus curiae, the United States, as it has done in five other cases in the last decade, again asks us to overrule Roe. The plurality opinion stated that it was upholding what it called the "essential holding" of Roe. The essential holding consists of three parts: (1) Women have the right to choose to have an abortion prior to viability and to do so without undue interference from the State; (2) the State can restrict the abortion procedure post viability, so long as the law contains exceptions for pregnancies which endanger the woman's life or health; and (3) the State has legitimate interests from the outset of the pregnancy in protecting the health of the woman and the life of the fetus that may become a child. The plurality asserted that the fundamental right to abortion is grounded in the Due Process Clause of the Fourteenth Amendment, and the plurality reiterated what the Court had said in Eisenstadt v. Baird: "[i]f the right of privacy means anything, it is the right of the individual, married or single, to be free from unwarranted governmental intrusion into matters so fundamentally affecting a person as the decision whether to bear or beget a child." The sum of the precedential enquiry to this point shows Roe's underpinnings unweakened in any way affecting its central holding. While it has engendered disapproval, it has not been unworkable. An entire generation has come of age free to assume Roe's concept of liberty in defining the capacity of women to act in society, and to make reproductive decisions; no erosion of principle going to liberty or personal autonomy has left Roe's central holding a doctrinal remnant. Where, in the performance of its judicial duties, the Court decides a case in such a way as to resolve the sort of intensely divisive controversy reflected in Roe and those rare, comparable cases, its decision has a dimension that the resolution of the normal case does not carry. It is the dimension present whenever the Court's interpretation of the Constitution calls the contending sides of a national controversy to end their national division by accepting a common mandate rooted in the Constitution." Because neither the factual underpinnings of Roe's central holding nor our understanding of it has changed (and because no other indication of weakened precedent has been shown), the Court could not pretend to be reexamining the prior law with any justification beyond a present doctrinal disposition to come out differently from the Court of 1973. The Court must take care to speak and act in ways that allow people to accept its decisions on the terms the Court claims for them, as grounded truly in principle, not as compromises with social and political pressures having, as such, no bearing on the principled choices that the Court is obliged to make. Since the O'Connor-Kennedy-Souter plurality overruled some portions of Roe v. Wade despite its emphasis on stare decisis, Chief Justice Rehnquist in dissent argued that this section was entirely obiter dicta. All these opening sections were joined by Justices Blackmun and Stevens for the majority. The remainder of the decision did not command a majority, but at least two other Justices concurred in judgment on each of the remaining points. Although upholding the "essential holding" in Roe, and recognizing that women have some constitutional liberty to terminate their pregnancies, the O'Connor–Kennedy–Souter plurality overturned the Roe trimester framework in favor of a viability analysis. The Roe trimester framework completely forbade states from regulating abortion during the first trimester of pregnancy, permitted regulations designed to protect a woman's health in the second trimester, and permitted prohibitions on abortion during the third trimester (when the fetus becomes viable) under the justification of fetal protection, and so long as the life or health of the mother was not at risk. The plurality found that continuing advancements in medical technology had proven that a fetus could be considered viable at 23 or 24 weeks rather than at the 28 weeks previously understood by the Court in Roe. The plurality thus redrew the line of increasing state interest at viability because of increasing medical accuracy about when fetus viability takes place. Likewise, the authors of the plurality opinion felt that fetus viability was "more workable" than the trimester framework. Under this new fetus viability framework, the plurality held that at the point of viability and subsequent to viability, the state could promote its interest in the "potentiality of human life" by regulating, or possibly proscribing, abortion "except where it is necessary, in appropriate medical judgment, for the preservation of the life or health of the mother." Prior to fetus viability, the plurality held, the State can show concern for fetal development, but it cannot pose an undue burden on a woman's fundamental right to abortion. The plurality reasoned that the new pre- and post-viability line would still uphold the essential holding of Roe, which recognized both the woman's constitutionally protected liberty, and the State's "important and legitimate interest in potential life." We begin with the standard, as described in Casey. We recognize that the "State has a legitimate interest in seeing to it that abortion, like any other medical procedure, is performed under circumstances that insure maximum safety for the patient." Roe v. Wade, 410 U. S. 113, 150 (1973). But, we added, "a statute which, while furthering [a] valid state interest, has the effect of placing a substantial obstacle in the path of a woman's choice cannot be considered a permissible means of serving its legitimate ends." Casey, 505 U. S., at 877 (plurality opinion). Moreover, "[u]nnecessary health regulations that have the purpose or effect of presenting a substantial obstacle to a woman seeking an abortion impose an undue burden on the right." Id., at 878. In applying the new undue burden standard, the plurality overruled City of Akron v. Akron Center for Reproductive Health, 462 U.S. 416 (1983) and Thornburgh v. American College of Obstetricians and Gynecologists, 476 U.S. 747 (1986), each of which applied "strict scrutiny" to abortion restrictions. Applying this new standard to the challenged Pennsylvania Act, the plurality struck down the spousal notice requirement, finding that for many women, the statutory provision would impose a substantial obstacle in their path to receive an abortion. The plurality recognized that the provision gave too much power to husbands over their wives ("a spousal notice requirement enables the husband to wield an effective veto over his wife's decision"), and could worsen situations of spousal and child abuse. In finding the provision unconstitutional, the authors of the plurality opinion clarified that the focus of the undue burden test is on the group "for whom the law is a restriction, not the group for whom the law is irrelevant." Otherwise stated, courts should not focus on what portion of the population is affected by the legislation, but rather on the population the law would restrict. The plurality upheld the remaining contested regulations – the State's informed consent and 24-hour waiting period, parental consent requirements, reporting requirements, and the "medical emergencies" definition – holding that none constituted an undue burden. Notably, when the authors of the plurality discuss the right to privacy in the joint opinion, it is all within the context of a quotation or paraphrase from Roe or other previous cases. The authors of the plurality opinion do not, however, explicitly or implicitly state that they do not believe in a right to privacy, or that they do not support the use of privacy in Roe to justify the fundamental right to abortion. Justice Blackmun would not agree with an implication asserting otherwise, stating "[t]he Court today reaffirms the long recognized rights of privacy and bodily integrity." Justices Harry Blackmun and John Paul Stevens, who both joined the plurality in part, also each filed opinions concurring in the Court's judgment in part and dissenting in part. Chief Justice William Rehnquist filed an opinion concurring in the Court's judgment in part and dissenting in part, which was joined by Justices Byron White, Antonin Scalia, and Clarence Thomas, none of whom joined any part of the plurality. Justice Scalia also filed an opinion concurring in the judgment in part and dissenting in part, which was also joined by Rehnquist, White, and Thomas. Chief Justice William Rehnquist was the senior justice of the four that dissented against the upholding of Roe. Justice Harry Blackmun, the original author of Roe, would have struck down all of the Pennsylvania abortion restrictions, continuing to apply strict scrutiny. Justices Blackmun and Stevens wrote opinions in which they approved of the plurality's preservation of Roe and rejection of the spousal notification law. They did not, however, agree with the plurality's decision to uphold the other three laws at issue. Justice Stevens concurred in part and dissented in part. Justice Stevens joined the plurality's preservation of Roe and rejection of the spousal notification law, but under his interpretation of the undue burden standard ("[a] burden may be 'undue' either because the burden is too severe or because it lacks a legitimate rational justification"), he would have found the information requirements in §§ 3205(a)(2)(i)–(iii) and § 3205(a)(1)(ii), and the 24-hour waiting period in §§ 3205(a)(1)–(2) unconstitutional. Instead of applying an undue burden analysis, Justice Stevens would have preferred to apply the analyses in Akron and Thornburgh, two cases that had applied a strict scrutiny analysis, to reach the same conclusions. Justice Stevens also placed great emphasis on the fact that women had a right to bodily integrity, and a constitutionally protected liberty interest to decide matters of the "highest privacy and the most personal nature." As such, Justice Stevens felt that a State should not be permitted to attempt to "persuade the woman to choose childbirth over abortion"; he felt this was too coercive and violated the woman's decisional autonomy. Justice Blackmun concurred in part, concurred in the judgment in part, and dissented in part. He joined the plurality's preservation of Roe – of which he wrote the majority – and he, too, rejected the spousal notification law. Justice Blackmun, however, argued for a woman's right to privacy and insisted, as he did in Roe, that all non-de-minimis abortion regulations were subject to strict scrutiny. Using such an analysis, Justice Blackmun argued that the content-based counseling, the 24-hour waiting period, informed parental consent, and the reporting regulations were unconstitutional. He also dissented from the plurality's undue burden test, and instead found his trimester framework "administrable" and "far less manipulable." Blackmun even went further in his opinion than Stevens, sharply attacking and criticizing the anti-Roe bloc of the Court. ^ Greenhouse, Linda (2005). Becoming Justice Blackmun: Harry Blackmun's Supreme Court Journey. New York: Times Books. pp. 203–206. ISBN 0-8050-7791-X. ^ deCourcy Hind, Michael (1992-02-21). "The 1992 Campaign: Pennsylvania; Trouble Shadows Specter in Senate Race". The New York Times. Retrieved 2009-08-15. ^ Planned Parenthood v. Casey , 744 F. Supp. 1323 (E.D. Pa. 1990). ^ Planned Parenthood v. Casey , 947 F.2d 682 (3d Cir. 1991). ^ Lane, Charles. "All Eyes on Kennedy in Court Debate On Abortion". The Washington Post. Retrieved May 22, 2010. ^ Casey, 505 U.S. at 846. ^ Casey, 505 U.S. at 854–60. ^ a b Casey, 505 U.S. at 860. ^ Casey, 505 U.S. at 866–67. ^ Casey, 505 U.S. at 862–64. ^ Casey, 505 U.S. at 864. ^ Casey, 505 U.S. at 865–66. ^ Casey, 505 U.S. at 872; Roe v. Wade, 410 U.S. 113, 163–66 (1973). ^ Casey, 505 U.S. at 870. ^ Casey, 505 U.S. at 879. ^ Casey, 505 U.S. at 873, 876-78. ^ Casey, 505 U.S. at 871 ("[t]o protect the central right recognized by Roe v. Wade while at the same time accommodating the State's profound interest in potential life, we will employ the undue burden analysis as explained in this opinion."). ^ City of Akron v. Akron Center for Reproductive Health, 462 U.S. 416 (1983). ^ a b Casey, 505 U.S. at 877. ^ Whole Woman's Health v. Hellerstedt, 579 U.S. ___ (2016), , Opinion of the Court, page 19-20. ^ Whole Woman's Health v. Hellerstedt, 579 U.S. ___ (2016), , Opinion of the Court, page 19. ^ Thornburgh v. American College of Obstetricians and Gynecologists, 476 U.S. 747 (1986). ^ Casey, 505 U.S. at 893–94. ^ See 897, 892–94 (noting that women may not inform their husbands because of "justifiable fears of physical abuse" or fear that notification will "provoke further instances of child abuse," and women may also fear reporting past abuse to the State because of the other consequences that can come from that). ^ Casey, 505 U.S. at 894. ^ Casey, 505 U.S. at 894 ("The proper focus of constitutional inquiry is the group for whom the law is a restriction, not the group for whom the law is irrelevant."). ^ Casey, 505 U.S. at 880 (medical emergency), 887 (informed consent and 24-hour waiting period), 899 (parental consent), and 900 (finding that recordkeeping and reporting requirements are constitutional, except those related to spousal notice). ^ Casey, 505 U.S. at 950–54 (Rehnquist, C.J., concurring in part, dissenting in part). ^ Casey, 505 U.S. at 966 ("Accordingly, we think that the correct analysis is that set forth by the plurality opinion in Webster. A woman's interest in having an abortion is a form of liberty protected by the Due Process Clause, but States may regulate abortion procedures in ways rationally related to a legitimate state interest."). ^ Casey, 505 U.S. at 981 (Scalia, J., concurring in part, dissenting in part). ^ See Casey, 505 U.S. at 979–80 (finding that it is not unconstitutional to intrude upon the abortion liberty because the abortion liberty is not a protected liberty). ^ Casey, 505 U.S. at 980. ^ Casey, 505 U.S. at 912–914, 920–22 (Stevens, J., concurring in part, dissenting in part). ^ Casey, 505 U.S. at 917–18 ("In my opinion, the principles established in this long line of cases and the wisdom reflected in Justice Powell's opinion for the Court in Akron (and followed by the Court just six years ago in Thornburgh) should govern our decision today."). ^ Casey, 505 U.S. at 915. ^ Casey, 505 U.S. at 916. ^ Casey, 505 U.S. at 923–26 (Blackmun, J., concurring in part, dissenting in part). ^ Casey, 505 U.S. at 926–28. ^ See Casey, 505 U.S. at 926, 934. ^ Casey, 505 U.S. at 930.